Below is a really nice article that goes over one of the standard AIA forms for a performance bond. Most sureties utilize the AIA forms and they are readily accepted in the industry. That said, they are not perfect and may not suit every single requirement (instead, they are created to fit MOST situations). You will want to review the bond prior to signing it to make sure that it does fit your situation. Your lawyer may help (we use Business Law Group) to determine whether this is proper for your business. In their Construction Law column, Kenneth M. Block and Joshua M. Levy advise against the use of performance bonds, writing: The performance bond is for the benefit of the owner and, theoretically, allows the owner to make claims on the bond if the contractor defaults and recover its damages for nonperformance. We say “theoretically” because the performance bond portion of the A312 is so full of conditions and traps for the unwary owner that it may be of little value. 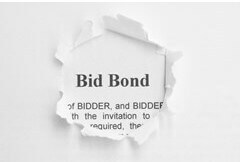 In the circumstance of an owner’s (or its lender’s) requirement that the general contractor or construction manager (collectively, “contractor”) post payment and performance bonds, the contractor, invariably, provides bonds in the form of AIA Document A312-2010 (the “A312”). The payment bond is primarily for the benefit of the contractor’s subcontractors and allows the subcontractors to make claim on the bond for nonpayment. The performance bond is for the benefit of the owner and, theoretically, allows the owner to make claims on the bond if the contractor defaults and recover its damages for nonperformance. We say “theoretically” because the performance bond portion of the A312 is so full of conditions and traps for the unwary owner that it may be of little value. For this reason, we caution against its use. One would think that a performance bond simply guarantees the full performance of the contractor and acts as insurance against losses an owner suffers as a result of the contractor’s default during the course of the work or as a result of other noncompliance with the underlying contract, such as correcting warranty or nonconforming work following the completion of construction. While on its face, the A312 provides this coverage, it provides traps which may deny the owner the benefit of its bargain. A step-by-step analysis of the requirements of the A312 bears this out. Assuming the default is not resolved, the owner must then declare a default, terminate the contract, notify the surety and agree to pay the “Balance of the Contract Price” to the surety. Once the owner satisfies the foregoing requirements, “the Surety shall promptly and at the Surety’s expense take one of the following actions:” (a) arrange for the contractor to perform and complete the contract, with the owner’s consent; (b) perform the contract itself or through its agents or contractors; (c) arrange for other contractors to complete the work and pay the owner any damages incurred, including costs in excess of the Balance of the Contract Price; or (d) waive its rights to any of the foregoing and either pay the owner its damages or deny liability. If the surety does not proceed “with reasonable promptness” as provided above, it will be deemed in default of the bond after seven days additional written notice to the surety demanding that it perform under the terms of the bond. Only then may the owner bring suit on the bond, which must be brought no more than two years after the earlier of (a) the declaration of default by the owner; (b) the date the contractor ceased work; or (c) the date the surety refuses or fails to perform its obligations under the bond. Provided these provisions are strictly followed (which a reviewing court will require), the owner will have recourse to the bond, and the surety will be liable for the damages outlined in the bond, such as the cost of completion and the correction of defective work; additional legal and design costs; and delay damages. However, the A312 makes it more difficult than it needs to be to obtain this recourse and we recommend a more simplified approach. An example of this simpler approach can be found in ConsensusDOCS 260 Performance Bond. This, essentially, one page document first identifies the parties and the contract, and recites that the contractor and surety are bound to the owner to perform the contract to a specified maximum amount of the bond. Next, it establishes that the surety’s obligations only arise upon the contractor’s nonperformance of the contract, provided that the owner has performed its obligations. If the surety demands, the owner must agree to make the contract balance available to the surety for the completion of the work. The surety then becomes obligated to complete or arrange for the completion of the work or waive its right to complete the work and reimburse the owner for the amount of its reasonable costs to complete the work. While we also see possible limitations in the ConsensusDOC Performance Bond (such as lack of clarity that it covers all of the owner’s damages and the inclusion of a short statute of limitations), it is a far cry from the A312 and may serve as a better alternative. If at all possible, owners should avoid accepting the A312. Instead, they should either use the ConsensusDOC Performance Bond or a manuscript form. In the event there is no alternative to the A312, owners must strictly comply with its terms and carefully follow each notice requirement.